Five years after the first mass-market electric car hit the market, plug-in electric vehicles (EVs) have not met with the success expected, but they are pacing the rate of hybrid cars. Numerous challenges are being overcome in the evolution of the electric vehicle – not least of which is the automakers approach to the production and marketing of the cars, the range EVs travel on one charge and the availability of charging stations. 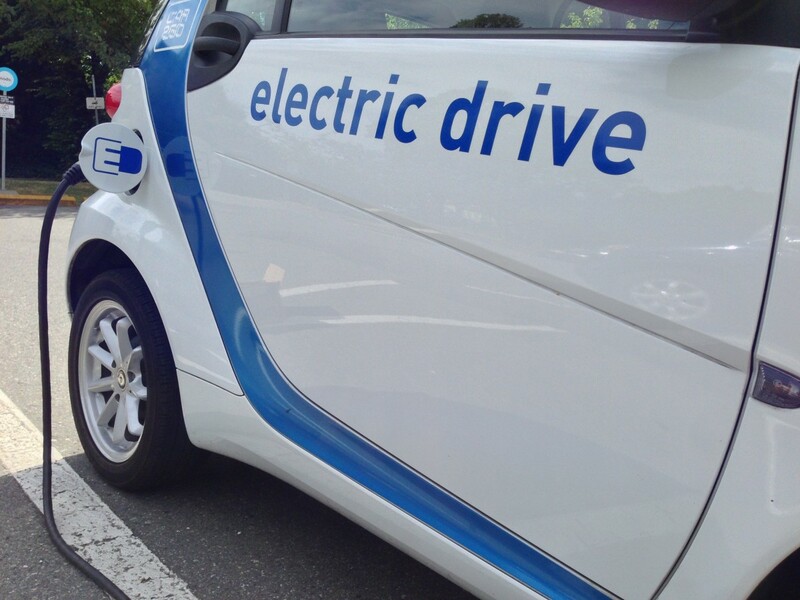 The new generation of electric vehicles began with the introduction of the first Tesla car in 2008 and began its embryonic growth in 2010 when mainstream electric cars like the Nissan LEAF and Chevy Volt went on sale. Throughout this time, plug-in car (PEV) buyers have repeatedly complained about poor consumer experiences. Last year, Consumer Reports published the results of a secret shopper study of 85 dealerships in four states, finding that staff at 35 of those dealerships (over 40%) attempted to steer buyers toward internal combustion engine (ICE) vehicles instead of the PEV in which they had expressed interest. Thirteen of those dealers tried to entirely discourage shoppers from buying an EV. 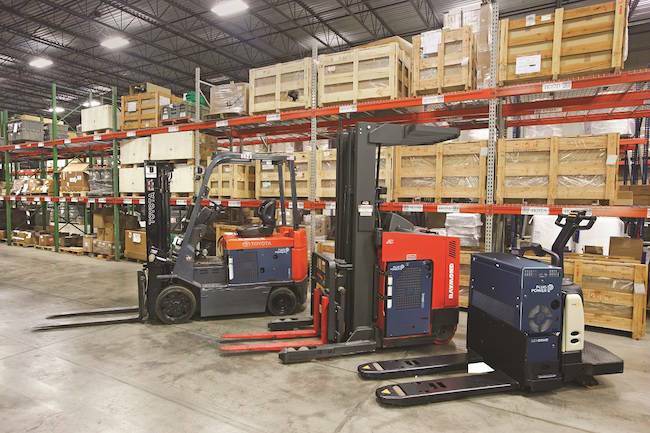 Legacy profits from on-going maintenance of ICE vehicles, most of which are not required for an EV, is considered a major incentive for dealers to steer customers away from EVs. Increased demand from consumers will be the key driver in forcing manufacturers and dealers to change their perception of EVs from a necessary regulatory evil to a new product category. Range anxiety is the fear that a vehicle has insufficient range to reach its destination and would thus strand the vehicle’s occupants. The term, primary used in reference to battery electric vehicles (BEVs), is considered to be one of the major barriers to large-scale adoption of EVs. The main strategies to alleviate range anxiety are the development of higher battery capacity (Tesla S now sports a model with a 265-mile range and other manufacturers are working to follow suit with over 200-mile range EVs), battery swapping technology, and the deployment of charging station infrastructure. Despite the obstacles in creating a new market, the fleet of plug-in electric vehicles in the United States is the largest in the world with over 400,000 highway legal plug-in electric vehicles (EVs) sold in the country since 2008 when Tesla introduced its first car through 2015. As of March of this year, there are 26 highway legal plug-in cars available in the American market from over a dozen manufacturers plus several models of electric motorcycles, utility vans and neighborhood electric vehicles (NEVs). 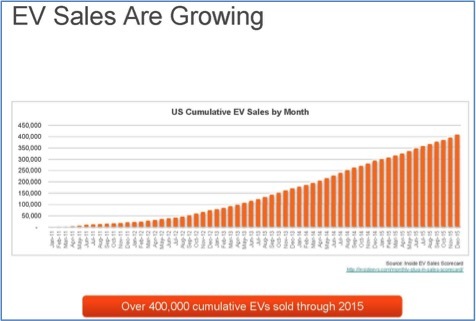 The number of EV drivers has increased ten times in the past four years and EVs are expected to comprise over 8% of all car sales by 2020. New EV cars with increased range are being developed by many auto manufacturers – and some new entrants like Apple which has its first car, code name “Project Titan” planned for release in 2019. 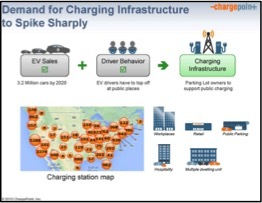 Equally innovative but decidedly less exciting is what is happening with the growing infrastructure of EV charging stations, a stimulant for expansion of the market for plug-in electric vehicles. As of January 2016, the US had 12,200 charging stations across the country, led by California with nearly 3,000 stations. In terms of public charging points, there were 30,669 public outlets available across the country by the end of January 2016, again led by California with 9,086 charging points (29.6%). U.S. Secretary of Energy Steven Chu initiated the “Workplace Charging Challenge” in 2013 to increase the number of US employers offering EV charging stations – tenfold – by 2018. “The proliferation of electric cars, has made these stations much more relevant over the past two years,” McNamara says. Trophy and Class AA office buildings, such as the Georgia Pacific Center in Atlanta, were among the first to respond to Chu’s challenge. “Ownership and JLL are compelled largely because it’s the right thing to do for our environment. We are a LEED-certified building and our objective is to maintain the highest status possible,” explains Michael Strickland, a VP & Group Manager for JLL in Atlanta. Porsche Latin America, for example, a tenant in the Southeast Financial Center, installed two electric charging stations with special adapters, as a unique term of their lease. Then again, Porsche is not the average tenant. Earlier this month (September), the car manufacturer unveiled its first all-electric Mission E concept car at the Frankfurt Auto Show. It looks like a futuristic 911. The Mission E, along with Audi’s e-Tron Quattro (scheduled to be launched in 2018), a hybrid SUV, would challenge Tesla’s Model S in the luxury category. Like Apple’s Project Titan, though, these models will take years to develop. Until then, drivers can take their pick from available models such as the Nissan LEAF all-electric car, the Chevrolet Volt plug-in hybrid, the all-electric Tesla Model S and the Toyota Prius Plug-in hybrid, and a growing public infrastructure in which to park and charge them. Further, projects may be awarded one point for EP for instituting a transportation management plan that demonstrates a quantifiable reduction in the auto use through implementation of multiple options. Even at this stage in the development of the market for EVs, which represents the future of automobiles, an EV driver plugs into a ChargePoint station every five seconds, saving over 12.5 million gallons of gas and over 41 million kilograms of greenhouse gas emissions. Today, Emerald Skyline is proud to announce that it has partnered with ChargePoint to provide for a greener tomorrow – for an emerald skyline! 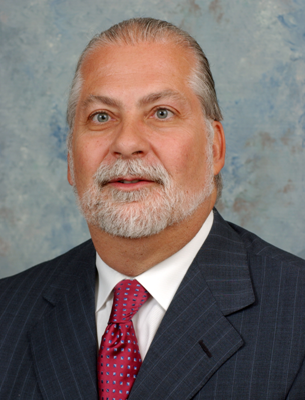 “As a sustainability and resiliency consulting and LEED project management firm, this partnership allows us the latest technologies and largest and most open network available to provide our clients,” reports Abraham Wien, LEED AP O+M, Director of Architecture & Environmental Design for Emerald Skyline. “We are always looking for ways to provide superior products and services to meet our clients sustainability and resiliency needs. 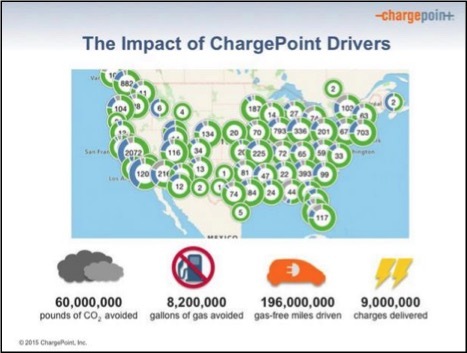 With almost 28,000 charging stations, ChargePoint is the world’s largest network of electric vehicle (EV) charging stations in the US, Europe and Australia. ChargePoint stations set the industry standard for functionality and aesthetics and their innovative, cloud-based software gives station owners flexibility and control of charging operations. Stations on the ChargePoint network are independently owned businesses, which set their own pricing, access settings and much more. 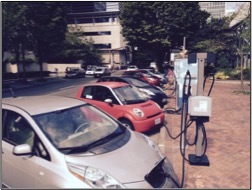 Beyond the workplace, EV charging stations are a distinctive and value-add amenity for hotels, restaurants, shopping centers and entertainment facilities – and a growing necessity for communities serving an ever-increasing demographic demanding an alternative to fossil-fuel driven vehicles. An electric car will have to be able to travel long distances for EVs to break into the mass market. Like few other parts of the plug-in ecosystem, this has been demonstrated by Tesla Motors, which has built out its network of sites not only in the US, but in all their major markets. An 80% recharge that provides 200 miles or more in less than an hour enables Tesla owners to travel coast-to-coast with recharging breaks every three hours. And, despite the reticence of many in the industry about the prospect of being stationary for a half hour to hour break every three hours, Tesla drivers seem entirely satisfied with the network, to the point that congestion is an occasional problem while range anxiety is not. 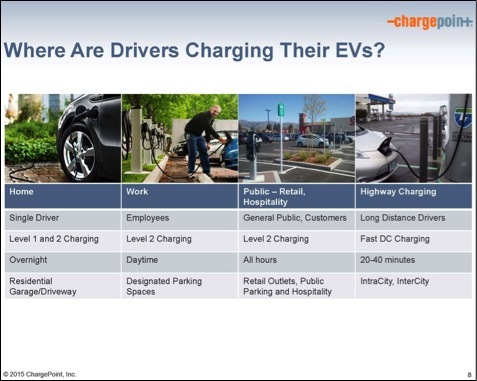 The availability of a charging station will attract that additional guest or customer who will pay extra for the charge (yes, EV-charging stations can be an additional source of revenue by monetizing an EV-enabled parking spot). It will attract new customers to your business and encourage loyalty from a growing customer base of EV drivers. Emerald Skyline Corporation will be providing ChargePoint EV Charging Station services and installations for corporate, municipality, and private entities. Together, we’re transforming the energy industry by developing intelligent energy management solutions to help people and businesses shift away from fossil fuels. ChargePoint stations set the industry standard for functionality and aesthetics and their innovative, cloud-based software gives station owners flexibility and control of charging operations. Stations on the ChargePoint network are independently owned-businesses which set their own pricing, access settings and much more.